Stretch: Private bridge to Powerhouse. This run is great in the summer months when there are very few other runs flowing. 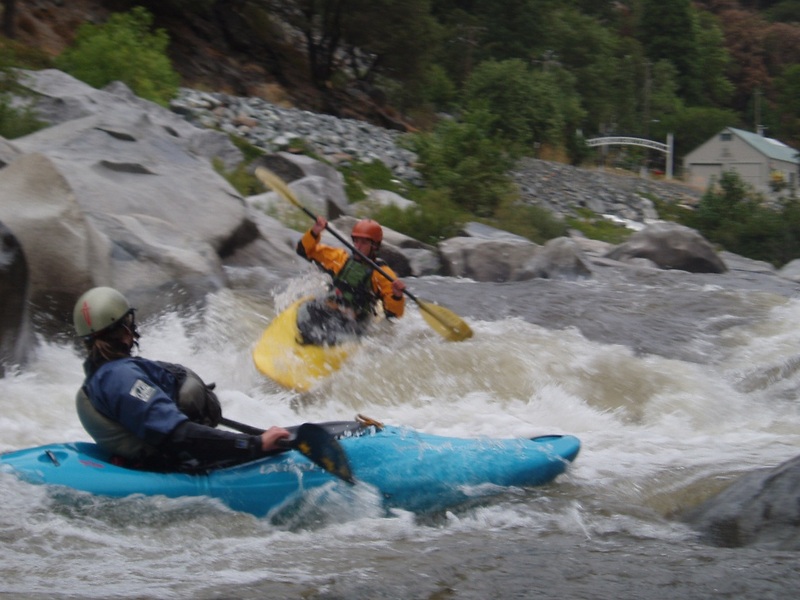 Thanks to American Whitewater Flows are scheduled for one Sunday a month from June to October. 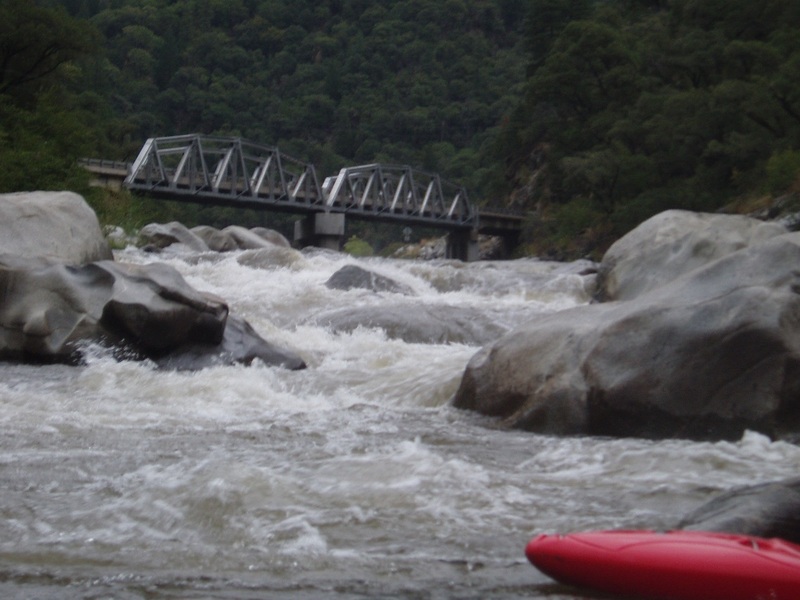 This run is great for a class IV boater and will provide some challenging rapids which will push their comfort levels, along with some rapids which will simply give them a hoot. 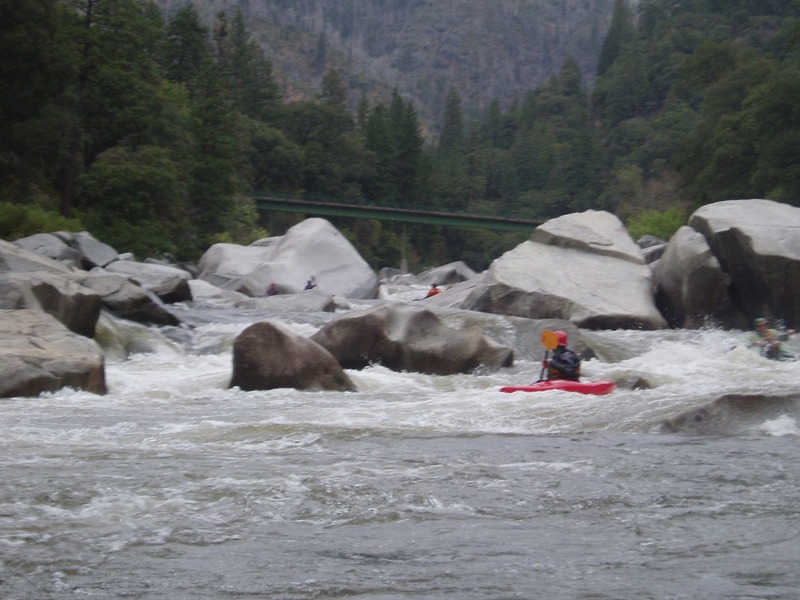 There are some very nice play spots on the river, most of which are catch on the fly, along with numerous slides, and splats to be had off the smooth granite rocks, not to mention the uncountable amount of optional boofs. Great fun and definitely worth doing. Mere feet below the put-in starts the first section. 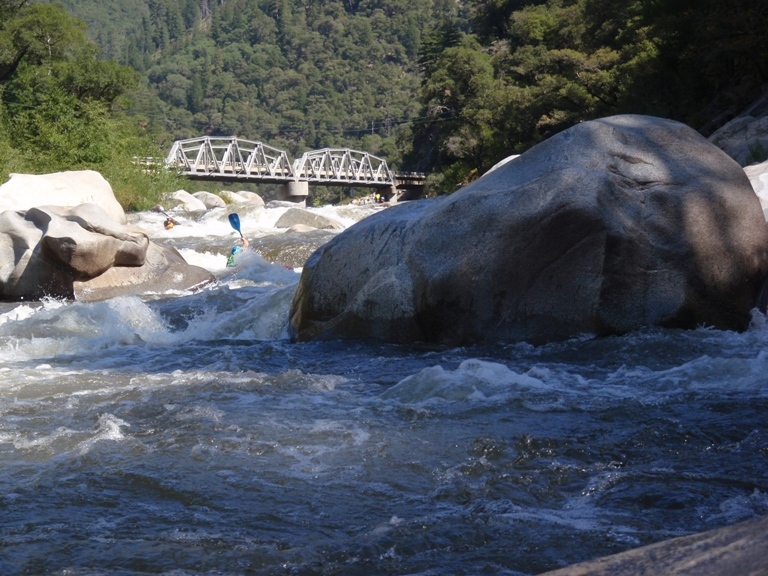 There are three demanding rapids in this section, requiring good eddy catching ability. 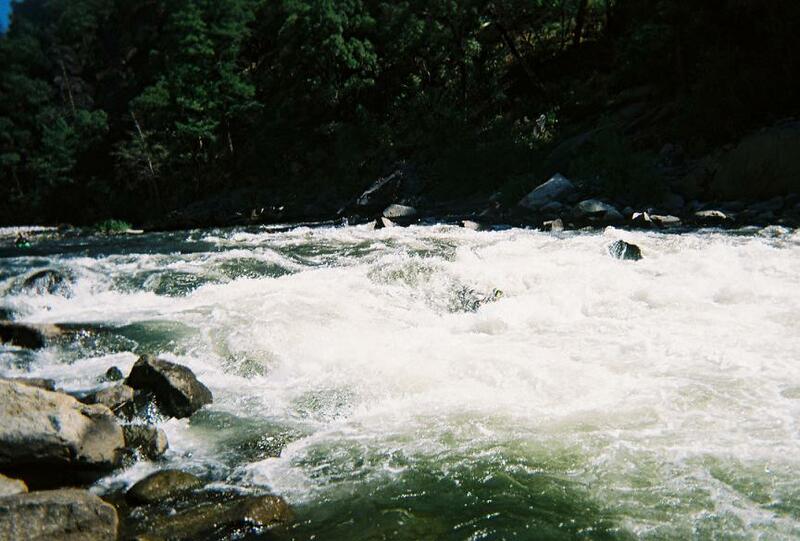 Below these initial rapids it spaces out to more pool and drop style of rapids. You can walk down the road to put in below the first set of rapids. Put-in (III+). There is a nice eddy on river left to boat scout this one from. The easy line is to stay left in the main channel and avoid the first and second rock that way. A more difficult route is to go right, then ferry behind the downstream rock and in front of a junk pile. Boof then Slot (IV). A small entrance needs to be worked right across, hug the house size boulder on the right and boof the rock below it. There is an eddy on the right to enter to look at the slot. Just below, the water goes down a chute and hits a rock full-on. Hug the left side and pass between the slab on the left and the piton rock in the center. S-turn (III). A big S-Turn has to be hugged on the left at the beginning. There is a pour over in the center. Once you are around the pour over, you can exit wherever, there are holes to go through, but all have been forgiving in my experience. The Best Boof (III-). There is a perfectly easy and straightforward line down this little rapid, but the most fun line is to drive straight up onto the slab in the middle of the river, drive up on the edge of it as far as you can and get aerial for a second or two off the 4-5 foot drop, landing in the eddy below. Optional Tobin Take-out at the bridge. Zig and Zag (IV). Enter on the right shore, there are some squirrelly diagonals, and angled holes, stay on the right side of the river, until it bends left around the pour over. Don’t be middle or even right of center here, the pour hole is big. Then finish the rapid on either side of the midstream rock blocking the exit. In my mind this is the single hardest rapid on the run. Jumble (IV). 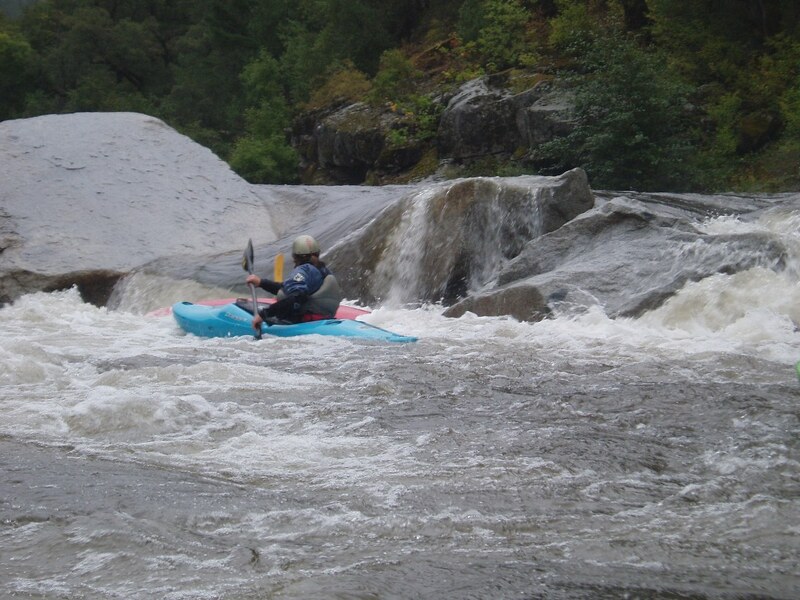 The second hardest rapid on the run occurs when the water falls off a jumble of rocks and slams into a downstream rock. There is a sneak on the far left against the shore. This line take you off a ledge that is friendly enough. The main line is down the center moving left with hope of either being left of the boof rock at the bottom, or being on the boof rock, if you are right of it, or even just hitting the right side of the boof, you will slam into a rock and be slipped through a pinch spot. Once entering center, you cant really get too far left. There is a sneak on the left shore. Crease (III+). 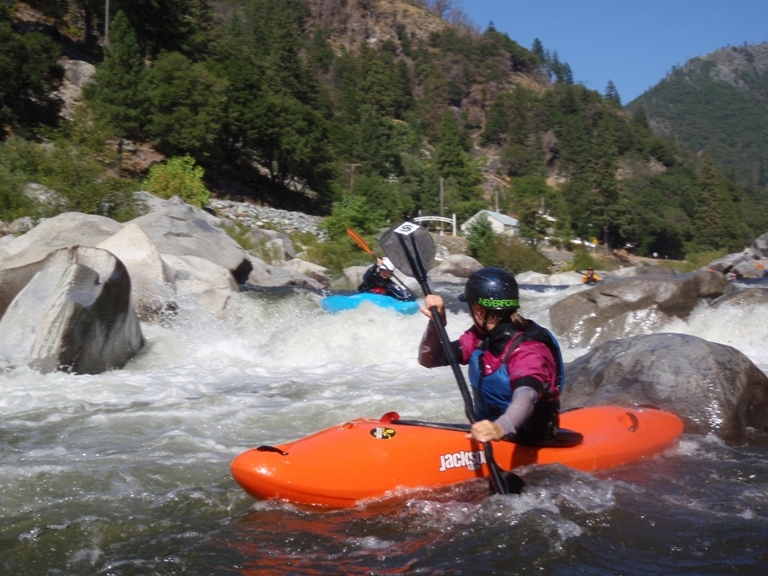 A long rapid with many choices. The entrance is just a class III- hole dodging affair. As the river bends left, you can ferry behind a large midstream rock and head left, or stay center. There are five or so exit channels, the only one that has some iffyness to it is the second from the left, where many rocks and holes stacked up on each other create funky water. A section of easier rapids contains a few nice boofs. Boof right (III+). A river-wide boulder fence singles this drop. Just off the right shore there is a tongue to the left of a boulder. You can ride the tongue, or you can just a few feet further to the left and boof the rock sticking up just barely. Slide (III-). A rock fence again approaches, this time on spanning the right half of the river. The left channel is class II+, the center channel pinches off and goes into a pocket eddy, drive right onto the slab in the center, and slide down it to avoid the pocket eddy. Big Hole (IV-). A very large hole with pin hazard and rock backing it up spans the river. Running along the right shore allows you to boof around the hole and miss the worst of it which is in the middle of the river. You can also slip just to the right of the hole by passing just left of a small pour over feature at the lip of the drop. Big Finish (III). A Large wave backed up by a large hole. Only a 3 of 8 success rate on the boats ahead of us, it flushes easily though. Line is right of center, left of center has a pour-over which is kind of sticky and backed up by a rock. Take out: Drive up highway 70 from Oroville until you reach the Rock Creek Powerhouse, which is on the right and extends out over the road forming a tunnel. Put in: Drive up highway 70 from the take out until you are on the right side of the river, and see a large one-lane green bridge spanning the river. There is a trail on the downstream side of the bridge.